Yacht brokerage is the essence of our activity. To purchase or to sell a vessel can be a complex and time-consuming process. That’s why you need the right attention and advice, based on experience and knowledge of the industry to provide that the deal goes as smoothly as possible. 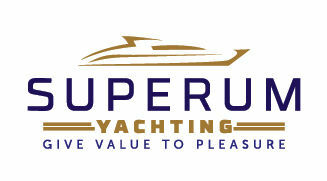 At Superum Yachting we are prepared to handle the entire process of purchasing or selling and to create a positive experience out of it for our clients. Our staff is E.M.C.I. certificated and they are the members and co- founders of the Croatian Association of vessel surveyors and brokers. We offer to our clients: market valuations, advertising, consulting, mediation during registration, yacht surveys, maintenance, transport and insurance. Superum Yachting maintains long-term working relationships with a number of brokers in Croatia and across Europe to maximize the efficiency and minimize the time in the process of buying or selling a vessel. Yachts are often a significant monetary investment.That`s why it is important to get full value for money and to be completely satisfied with the purchase.We provide market research and coordination during the yacht purchase process and strive to find a yacht that meets our client's specifications. On the other hand, in the process of selling it is important to get the best selling price. That's why our staff inspects every yacht and provides advice on how to bring it in the best possible condition. With this measure we achieve another objective-we deliver to the future owner a yacht in the best possible condition. Finally, it is in our interest to match sellers with buyers carefully and make them both satisfied. Selling and buying a yacht is an emotional experience. Helping you in that process and to become a small part of these emotions is more than business for us. Yacht owners and those that are preparing themselves to became one, all share the same motivation-to enjoy the freedom and pleasure that staying on board of a yacht brings. Are you ready to find out how to obtain the yacht of your dreams? Be free and contact us! - Give value to pleasure!